OK, so it was now about 100 days or so after finding out that those college lectures I got on “A theism” needed some serious, serious revamping! And now I was conversing with unseen spirits just as matter-of-factly as I would with say…my Uncle Charlie. And more than this, the spirit was now giving me songs and telling me things about the world and about the unseen world that few persons had ever been privy to! This was unreal beyond the wildest imagination! But it was real! Very real! I was also led to believe that there were persons in the song business who were “insiders”. They knew about the spirits, and were aware that their music and success was a gift from God. 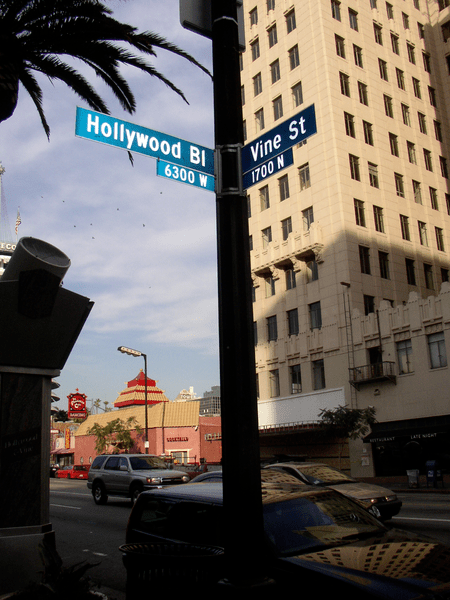 He told me that I was going to go down to L.A. to get into the business. He told me that a certain famous recording artist was an “insider”, and knew all about how God was working within the music business. And I was to go to this famous recording artist’s home. And this recording artist would take me in, until I “get on my feet”. He also told me (or I played guessing games, trying to prod him into telling me) just who else in the music business knew about God, or was being led by God. And after guessing, he let me know a number of famous people he had working for him in the music business. OK, OK, I know how ridiculous all this recording artist stuff’ sounds. And it’s embarrassing to even put it in writing for people to read! But I’m just telling you what happened. And if you really consider how often an article appears in the news about some person claiming that God told him to do this or that. Now what I went through begins to explain, that at the very least, that some of those “deluded” persons were no doubt likewise being misled by spirits, just as I was. Just listen to this verse… “When I lie down, I say, when shall I arise, and the night be gone? And I am full of tossings to and fro unto the dawning of the day.” Job 7:4. This verse from Job shows that Job had a spiritual problem with sleeplessness. The Devil caused Job many problems, this being one of them. Here’s another verse about sleeplessness… “Thou (God) holdest mine eyes waking…” Psalm 77:4. Now I’m not saying that all sleeplessness is due to higher powers. But the Bible does declare that it possibly can be the cause. As these two verses point out, both Job and the Psalmist were suffering spiritual insomnia: one brought on by God, and Job’s, which was brought on by Satan. And I’m not even saying that my sleeplessness was necessarily of spiritual origin. All I’m saying is that it possibly could have been. Also, I heard something that gave credence to what the spirit was telling me regarding the music business. And this is what gave me belief in what the spirit told me. 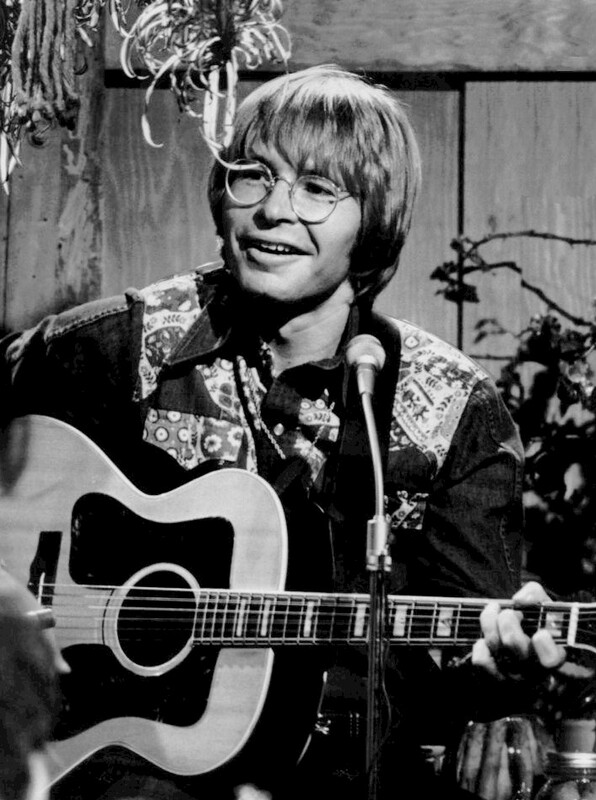 I heard John Denver in an interview, tell the interviewer that the songs he wrote were a “gift from God”. And he said it in such a way, that made me think that he wasn’t just being casual or flippant. He seemed to really believe that his songs were given him by God! Also, at about this same time, or a little later, I heard that John Denver was in a movie, called, “Oh God!” about a man who had an unseen companion…God. God was played by George Burns. And so I made sure to watch this movie when it came out on TV. And George Burns was a perfect God, as far as I was concerned. Burns behaved similar to the spirit I was communicating with. A lot of humor and irreverence. And so the spirit told me that John Denver was one of the insiders in the music business. 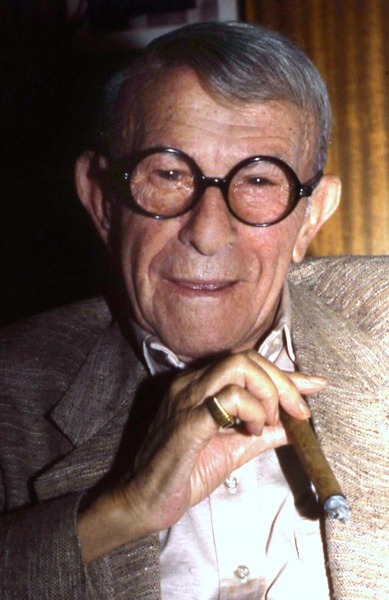 Photo of George Burns courtesy Allen Warren & Wikipedia share-alike license. Click here for link. CHORUS “And God give ya some love to carry along. May your roads be sunny, short or long. And on your way I pray, you won’t do anyone wrong wrong. And God give ya some love to carry along. And God give ya some—-to carry you—along—” . An old friend from our band liked the song, and a few years later, arranged the song for his band. He also changed the word, “things” in the last verse, to “those”. So the last line was changed to… “So try and fill your world with [those] you love…” One night when I was visiting Salem Oregon, I went to hear his band. They played that song, very well, with the word change. It was a definite improvement. But there was another aspect to all this music business stuff. I thought that God w as going to break into the popular music world. And he was gonna use me to do just that! All I had to do was to mingle together some secular songs…with some Christian songs. That’s so simple! Why didn’t somebody think of that already?! This shows how little I knew about Christianity! 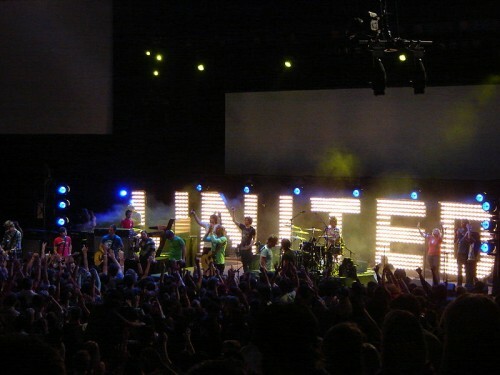 Because I had no idea just how big the Christian music industry currently was! It was perhaps already a billion dollar industry! I can turn to Jesus…for he is always near. OK, so these lyrics weren’t that great! But as I have stated…when “God” is giving you songs directly, even the mediocre ones seem good. And the music was actually pretty good. But as far as his method of composing, as I said earlier, He wouldn’t talk during these song-writing sessions. He just made my head nod “Yes” or “No”, depending on the chords or the words, if they were correct or not. I am certain he had very good reasons for doing this. And I’m pretty sure I know why. I’ll let you figure that one out for yourself. A DEAL WITH THE D…? 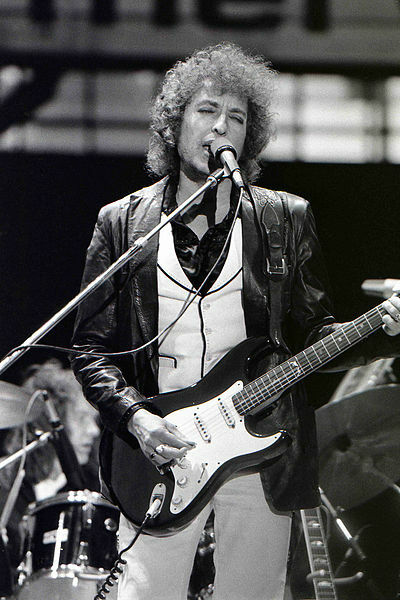 Bob Dylan gave an interview in which he made several statements regarding higher powers helping his career. In one statement, he says he made a “deal with the D…” … and then he stops short of actually saying the obvious. When quizzed about this by the interviewer, he began to back-peddle about almost saying “deal with the Devil” and then begins to indicate that his deal was with the “Commander”. With some more prodding, he clarifies that it is the “Commander of this world and the unseen world”. Now for the sake of honesty, it must be noted that his comment “deal with the D…” sounded a little like he was merely being flippant. But his comment about the “bargain with the Commander” sounded very serious. During this time, I was constantly communing with the spirit. 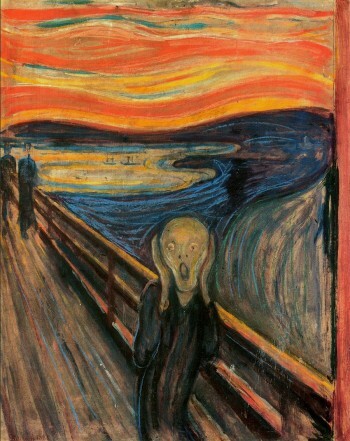 But quite often, there was a “creaking noise” in my house. Sometimes from the wall. Sometimes from the floor. And sometimes from the ceiling. Normally, I would just think that the house was settling. But whenever this happened, I would hear a “yes” or “no” simultaneous to the creaking noise. I reasoned that he was just making it seem like he was making the creaking noise. And I figured that he was just very quick. Because there didn’t seem to be any time-lapse between the creaking noise and his answer. Often, I wouldn’t even be asking him a question, and I would hear the creaking along with a “yes” or “no”. So this was a tip-off that he was just very quick, and the house was merely settling. “I been so many places…I’ve seen a lot of borderlines. “I’ve seen so many faces… and had me some pretty good times. “I’ve sung alot of travelin’ songs, about everything I see. “So I keep movin’ along…singin’ my highway song. “Some folk gotta settle down…but me I gotta roam. “And wishin’ I’d-a settled down…and made that girl my wife. “Sunrise come tomorrow, I’ll be headed for the western plains. “Tonight I’ll stay in the Cascades, in in this darn ol Oregon rain. “Some folk gotta settle down, but I’m just a rollin’ stone. “Gotta keep movin’ along, gotta keep movin’ along. This song took quite a while, with quite a few changes. But after composing this song, I became a little nervous about the music. This is because the chorus sounded kind-of like the chorus in the song, “Garden Party” by Rick Nelson. So I had to do a little re-arranging on the chorus to make it not sound like Nelson’s song. Now during this time, a very incredible phenomenon occurred a number of times. While sitting in my front living room, I would go into a trance-like state. And as I sat on my chair, I would hear a long buzzing noise, and then I would slip into a dreamlike world. And everything looked very surrealistic, but very real! It almost was like these computerized digital cartoons, but even more realistic! Yeah, these visions/dreams seemed so real, that I thought they were! Now I can only remember one of these, in which my parents came to me, asking me… “Where what did you do with the “Crimie?” By saying the “Crimie”, they were referring to a huge, old Chrysler, which we all sometimes used as a back-up vehicle. The reference to “Crimie” concerned my embezzling money from the restaurant, and me living such a life of crime, as well as other things. And after a few moments, when I awoke from these dream-like visions, I was amazed that it was only a dream or vision, because it seemed so incredibly real! So I guess the spirit’s story about no Heaven or Hell was in harmony with that very famous song, “Imagine”, by John Lennon. 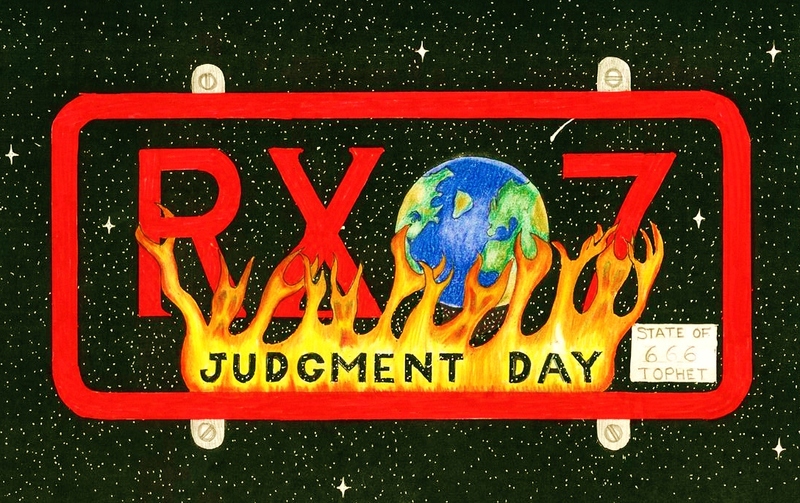 “Imagine there’s heaven…No Hell below us…No religion too!” Wow, there’s no Heaven no Hell! Wow! I was getting information that few people knew about, if any. What a news-flash! The difficult thing about John Lennon singing that song is this: it’s hard to imagine a deceased man, like Mr. Lennon, getting all excited that there’s no Heaven…no eternal joy…just nothingness for all eternity, now that he’s dead. Truly, atheism has to be the world’s most miserable religion! And it’s more than a little disconcerting to listen to someone singing about no Heaven, knowing that the man has been long ago deceased. Even the false religions promise you eternal bliss. Many people suppose that even a FALSE hope is better than NO hope! 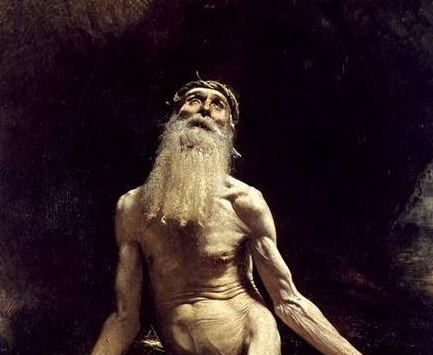 And one of the horrible aspects of atheism, is that the older you get, the more miserable and nervous you become, whenever you think about your prospects for the future. Prior to all this trouble I was now going through, I was really going through some frightening nights, thinking about eternity. Because I was an atheist prior to all this. And I really didn’t want to be dead for all eternity. (Truly, “Darkness” is the atheist’s worst enemy! Atheists quite often need to have music playing or a little light burning when they go to sleep at night, for fear of the darkness of eternity!) And so I would sometimes lie there in bed at night and try to think that possibly I might come back someday…somewhere out in the universe, as maybe…an earthworm or something. Pretty bleak as far as prospects for the future…huh? So John Lennon’s song about “Atheism”, though a pretty song, musically, was not much comfort for me back then, when I was an atheist. And even right now, as I’m writing this, my dear dad is struggling with aging. And it rips me in pieces to see him face eternity as an atheist. It’s a real heart-breaker! He’s facing death and he has no hope for the future! On the other hand, I can agree with Lennon on this point: that no hellish torture chamber that goes on for all eternity is something to sing about. I was on board with him on that point! (Just a note: I remember reading an interview with John Lennon not too long before his death, in which he stated that he was “beginning to understand the parables of the Bible”. 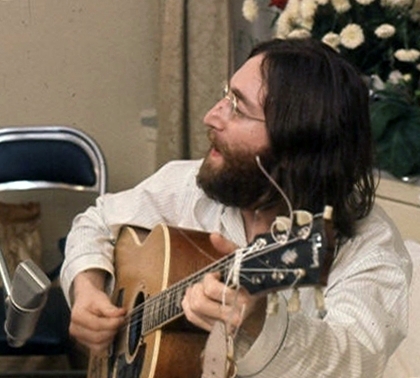 So it’s possible that God was working with Mr. Lennon prior to his untimely death. So maybe when he finally died, he had already become a believer in Jesus! Imagine!! John Lennon in Heaven!! Now that would really be something to sing about!! Photo of Mazda RX7 courtesy Wikipedia. GNU Free Documentation license. For link to Author, click here. Photo of John Lennon courtesy of Roy Underwood for Wikipedia share-alike license. Click here for link to Roy’s site. 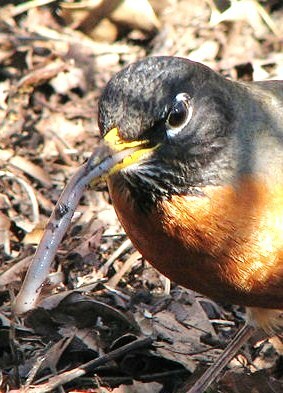 Photo of earthworm by Ryan Bushby &Wikipedia share-alike license. If you think your vacation went badly, just read about this one! !